Online faxing is one of the easiest ways to communicate these days. Sure, you use your cellphone for most things, but it can be used in conjunction with online faxing. Your cellphone has access to your inbox and the internet, which means it’s a perfect portal to access your online faxes. We all remember conventional faxing. I remember screaming at my fax machine and pleading with it to send my documents. It worked eventually, but only after numerous paper jams and wrong numbers. You get to a certain point when enough is enough, and you look for a better solution. Fax FX has the perfect solution. 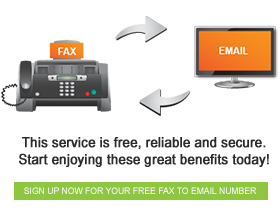 Once you have signed up with us, we will send you your free fax to email number. Think of this as a cellphone number, but for your faxes. This number is what you will use for your online faxing communication. Your Fax FX account will hold all of your faxes indefinitely. They will be available for you to see, and we treat them all as confidential and private. They are only there for your eyes! Using online faxing for the first time will make you wonder why you hadn’t done it sooner. It is one of the simplest communication tools to use, and you’ll learn exceptionally quickly. Internet access is all you require, and you will be able to send and receive faxes to and from anywhere in the world. Get into gear and use this awesome communication tool. You will love it!